I have met and sold to hundreds of Chief Information Officer’s over my 27 years of technology sales. I have noticed a pattern on the types of CIO’s and how they operate their business. I can characterize those styles as the following: 1) Slow Adopter 2) Pacer 3) Prodigy. I realize this is an over simplification and I cannot put everyone in a neat little box, however, I have used this to my advantage in trying to understand what type of person they are and how I could do a better job in selling to them. 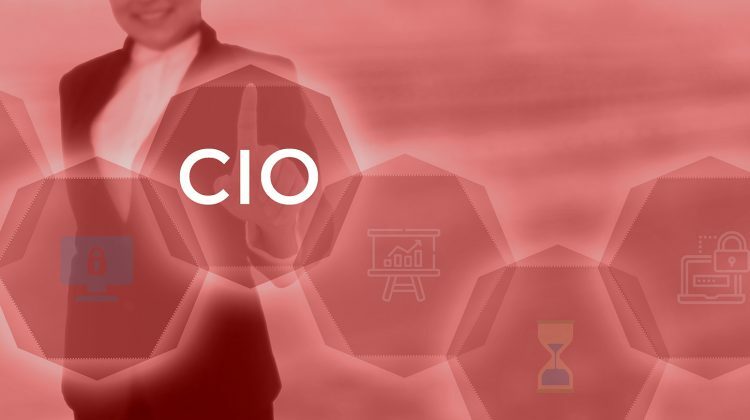 The first type of CIO can be identified by the type of IT department they are running. Typically, IT is a cost center for the company and the directive from the other Cx levels is to drive cost out of the business. It is exhibited by finding low cost vendors, renegotiating contracts with the goal of reducing spend with that vendor, and, well….having vendors and not strategic partners. I would be less than honest if I didn’t say that the slow adopter CIO frustrated me early in my career. I couldn’t understand why they would not see value in this great solution I was selling. After all, my value proposition was enough that they should be calling me, right? Thankfully, experience and training led me to realize that this type of CIO was exhibiting this behavior for a reason. 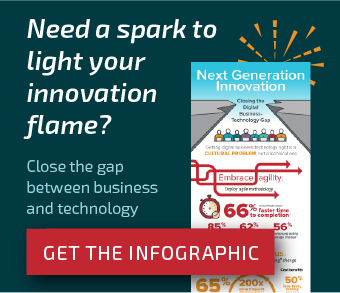 I doubt there are any people who reach the CIO level that do not want to innovate, but the company they work for doesn’t value innovation in the IT department. Once I realized this, I started trying to meet the customer’s goals of reducing cost. For example, maybe they own a solution from me as part of a larger software package and they are double paying by licensing that same capability from another vendor. I would then list all the capabilities of what they owned from me and see if there was a way to replace another vendor at no additional cost. This secured my contract value during renewal time and I did not have to worry about getting beat up on my costs. The second type of CIO is not adverse to innovation but typically chooses a couple of partners who they trust to help them with strategic direction. I have been fortunate to be chosen as a strategic partner with some of my customers and it was very rewarding to help them achieve their business goals. Of course, there were many more companies where I was still a vendor and working my way up to partner was time consuming. What I eventually learned was to accept 2nd place, but not be happy with it. I looked for simple projects that I could win and then reported to the CIO on the status and ROI of these projects. Sometimes it worked and I got moved up and sometimes it was just a nice win but nothing more came of it. The key to working with this type of CIO was finding out what they valued in a partner. Maybe it was thought leadership, other times it was loyalty, and a few times it was that I had an advanced technology solution. The other key learning was to always have a TCO and ROI for this type of CIO. Lots of data gathering to validate the numbers and they had better be double checked, there could be no guessing at the numbers. The third type of CIO is the prodigy or technology geek. The prodigy is always up to date on all the leading edge technologies. I remember one CIO in particular who had a home wireless network with a server and had connected devices throughout his house long before anyone else had thought of it, and he did the entire installation on his own. I will admit that this type of CIO is intimidating. It seemed that they knew more about my company and technology then I did. Before every meeting I would read all of my companies blogs to see what was the latest and then in our meeting they would bring up something I had never heard of and I would have to review those blogs again to see what I missed. At first I thought that I would be selling all sorts of new solutions to these types of CIO’s. After all, they got it about technology leading to innovation. Then I realized that they were just geeks. Just because they liked leading edge stuff didn’t mean they were going to buy it. I still had to do the TCO and ROI and crunch all the numbers and tie it back to the solution. However, I did learn to enjoy the conversations as just conversations and not look for an edge to sell something. Yes, facial recognition is cool and look at all the ways it can improve our lives, it didn’t mean they were ready to deploy it out to oil rigs. The overall lesson I have learned is something I will pass on to any CIO reading this article. Understand what type of person you are and what type of company you want to work for. I have seen CIO’s that love cost cutting and running a lean business and stay in that role for years because their make-up matched the company culture. On the other hand, I have seen innovative CIO’s who were stuck at a cost conscious business and were miserable because they were not allowed to modernize. Same holds true if new leadership comes in. You could be perfectly happy and then a new CEO comes in and says time to cut costs and you still want to innovate. Finally, I would ask all CIO’s to understand the role of the sales person. We are all passionate about our business and truly believe that we can make a difference. I know we can be annoying in our pursuit of the deal, but the only reason we persist is that we sold to another CIO at another company who did believe in us and we delivered on that belief.